There is an interesting discussion going on here about women apostles in the early church. While Church tradition regards some women as "equal to the Apostles", it does not provide precedent for women to be priests. Still, I question the argument that "References to some women as 'apostles' by early Church writers are obviously not referring to the apostolic office, such as those who called Mary Magdalene 'apostle to the apostles,' because she was the first to tell them of Christ's resurrection. That was a poetic usage." When Orthodoxy speaks of Photini, the Samaritan Woman at the Well, as "equal to the Apostles" this is not poetic usage. Orthodoxy is not saying that Photini was one of the original Apostles. Orthodox tradition recognizes another category: women who are equals in apostolic (but not priestly) ministry. Orthodoxy recognizes other categories as well: confessors, martyrs, holy women, prophets, etc. I want to make the point that the ordinance of the Priesthood is not derived from the Apostles, though apostolic succession through the laying on of hands is part of the proper ordination of priests. 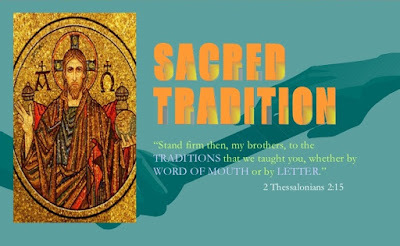 The priesthood, according to St. John Chrysostom, "is ranked among heavenly ordinances. And this is only right, for no man, no angel, no archangel, no other created power, but the Paraclete himself ordained this succession..." (On the Priesthood, 1977, St. Vladimir's Seminary Press, p. 70). That St. Paul does not list the sacerdotal priest among the orders of the Church should not surprise us. If Hebrews represents the Apostle's thought, the priesthood of the Old Testament was once and for all fulfilled in Jesus Christ, God's chosen High Priest, who was also God's spotless Lamb. The priest in the Church is the continuous link to the priesthood established by God in the order of Melchizedek. It represents something much older than the Apostolic ministry and should be guarded. Guarding it requires not confusing this extraordinary and particular office with the office of elder (presbyteros) which is not specific to blood sacrifice and to the work of the altar. The distinction has to do with blood. All the things of God are realized in Jesus' Blood. All suffering, which many religions attempt to explain apart from Christ, or to avoid through asceticism or philosophy, are made meaningful by His Blood. All worldly striving is shown to be futile by His Blood. The Apostle Paul refers to the Blood of Jesus no less than twelve times in his writings because God makes peace with us through the Blood of the Cross. It is to HIS atoning sacrifice that the priesthood points as a sign. If it is made to point to anything else, it becomes a broken sign. If the priesthood is indelible as an ontological reality, what is the eternal verity reflected in this Form? It can’t be the Apostles or apostolic ministry. It can only be the eternal Christ, who is one with the Father and the Spirit. Christ is the eternal Form of priest and the eternal truth signified. We can appreciate why the New Testament writers would use the word 'presbyteros' instead of 'hieros' with its pagan associations. However, the writer of Hebrews does not regard 'presbyteros' to be the correct term when speaking of Christ as God’s High Priest. Instead he uses the term 'hieros' (Hebrews 7.26). The Greeks didn't invent the priest, afterall, they encountered it among the Egyptians in its more original Afro-Asiatic context. Why should this matter to Christians? It matters because from the beginning the priesthood points to the saving work of Jesus Christ and is Christological in nature. It is therefore extremely important that the male priesthood be preserved and that its origins be better understood by Traditionalists.